I may have made an impulse purchase of a used pen on the /r/pen_swap subreddit. It writes dryly, but well enough. 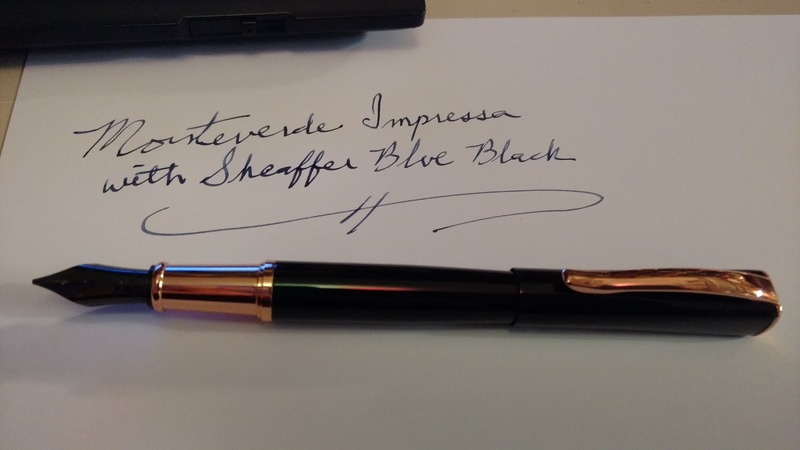 I wanted a pen with a 1.1mm stub nib and this Monteverde Impressa for $17 will do nicely.